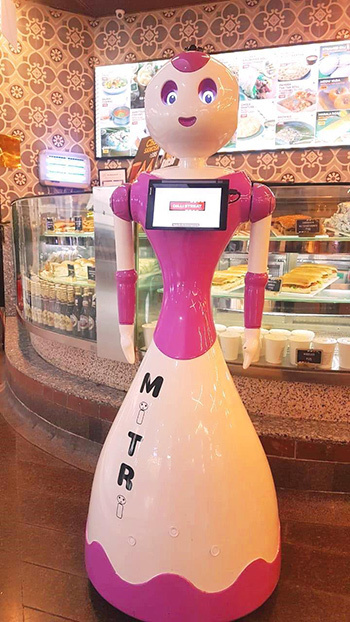 Travel Food Services (TFS), India’s leading travel food and retail company, has unveiled Mitri, the robot, to make the experience of patrons at the Dilli Streat outlet at Indira Gandhi International Airport, New Delhi, interactive and fun. Mitri, the latest in technology, is the first-ever airport installation in the F&B segment. Visitors to the Dilli Streat outlet will be met and greeted by Mitri, who will facilitate activities and engage with them by providing menu details. It would also be offering food recommendations. Mitri is a testament to TFS’ commitment of enhancing the travel experience in India, and presents a true example of how technology like artificial intelligence (AI) can help improve customer satisfaction, and drive productivity and sales.